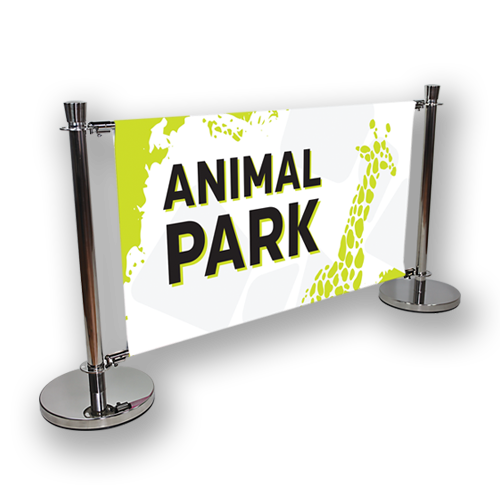 Effective promotional barriers that highlight your brand and make set up a breeze. Direct the flow of traffic with stunning Café Barriers from Hotcards.  Our Cafe Barriers are an easy to set up, indoor/outdoor display with heavy-duty stainless steel posts, base and rails. These barriers are not only an effective way to promote your business or products, they offer an inexpensive and practical way to create standing-space, direct traffic flow or enclose a pedestrian area. 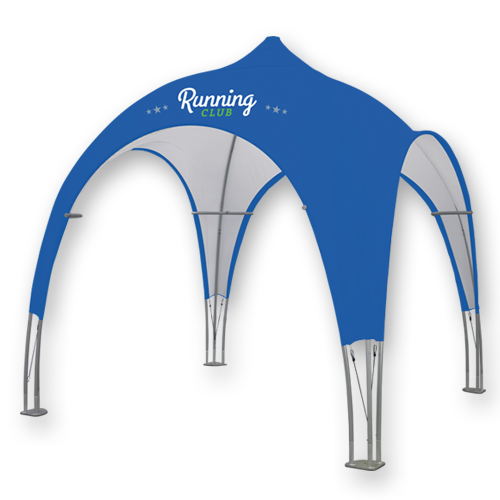 Have no worries about letting this product sit outdoors – we designed it for the sun, snow, rain and wind! 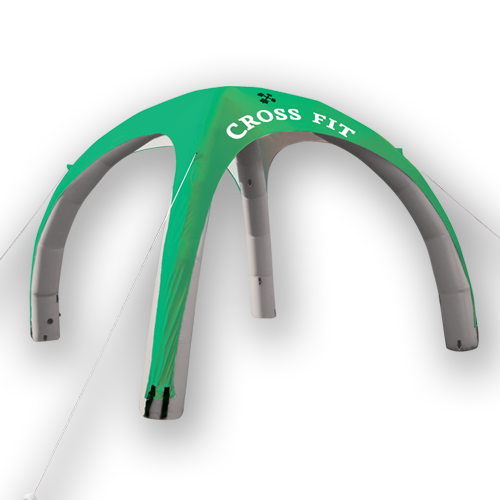 Custom Printed Tents Stand out in a seemingly endless sea of cookie-cutter tents. Inflatable Dome Tents Give your next event an inviting space for meeting new clients. 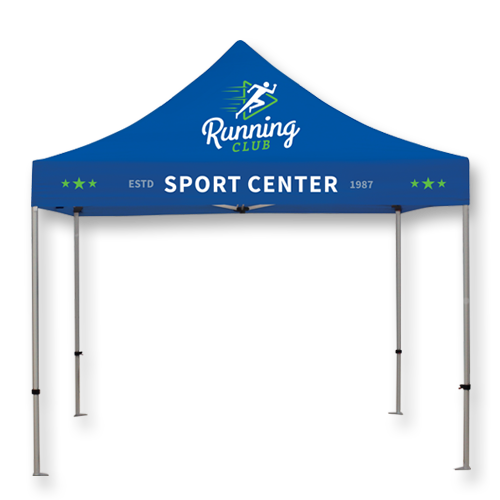 Tubular Dome Tents Give your next event an inviting space for meeting new clients. 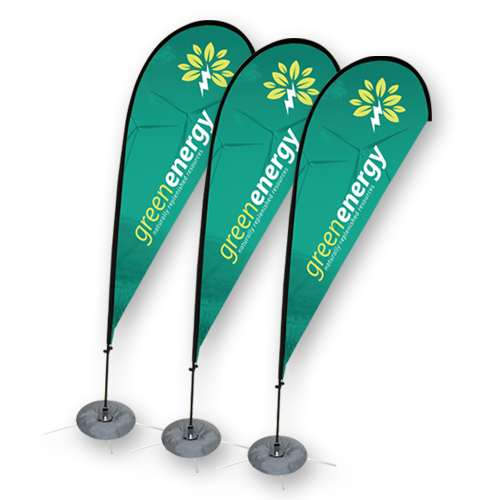 Teardrop Flags Showcase your business, brand, or product from a distance!